Store-bought dog biscuits are not only expensive, they also contain ingredients that may be harmful to your pup. So why not make your own? Homemade dog treats are not only easy to make but healthy as well! With ingredients like peanut butter and vegetables, these three treat recipes are delicious and nutritious. Even though these are loaded with veggies, your dog will never know thanks to the peanut butter and pumpkin. Preheat oven to 350 degrees Fahrenheit and line a baking sheet with parchment paper; set aside. Using an electric mixer, combine pumpkin puree, peanut butter and eggs in a large bowl and beat on medium-high until blended, about 1-2 minutes. Slowly add the old fashioned oats and about 2.5 cups of flour while at low speed until incorporated. You can add the extra flour in increments of ¼ cup until the dough isn’t sticky. Then, add the carrot, spinach, and zucchini until incorporated. While on a floured surface, knead the dough roughly 3-4 times until it comes together. Using a rolling pink (or whatever you have available), roll the dough out to about ¼-inch thickness. Cut out the dough into desired shape using cookie cutter and place onto baking sheet. Place in oven & bake about 20-25 minutes, until the edges are golden brown. *If your dog is allergic to eggs, you can use ¼ cup unsweetened applesauce as a substitute. These are so delicious, you may just have to sneak one for yourself! Preheat oven to 375 degrees Fahrenheit and prepare baking sheet with parchment paper. Put oats in a food processor and pulse until it’s not as coarse (not as fine as flour, just a little smoother than regular oats). Add the oats, peanut butter, pumpkin puree, cinnamon, baking powder, and egg to a bowl and blend with electric mixer on medium until fully mixed. (Or you can use a blender to blend everything). Once mixed, roll onto floured surface and cut with desired cookie cutters. Let cool completely, then treat the pups! *Store in an airtight container to keep fresh. What pup could ever resist cheese!? Combine oats, corn meal and cut up butter in large bowl. Pour in boiling water and stir until everything is moistened. Let stand until mixture is room temperature. Mix in cheese and flour with just enough water for rollable dough. Roll out until about ¼-inch thick and use your favorite cookie cutter to cut out shapes. Arrange biscuits on prepared baking sheets & bake for 30-35 minutes. And, pro tip, don’t remove them from oven – just turn the oven off and let it cool with the biscuits in there. This is will prevent dehydration when stored. When biscuits are completely cool, it’s time for the pup to taste! Next time you’re looking for a new, healthy treat for your dog, look no further than your pantry! With some simple ingredients, these dog treats are easy to make and perfect for your pup. 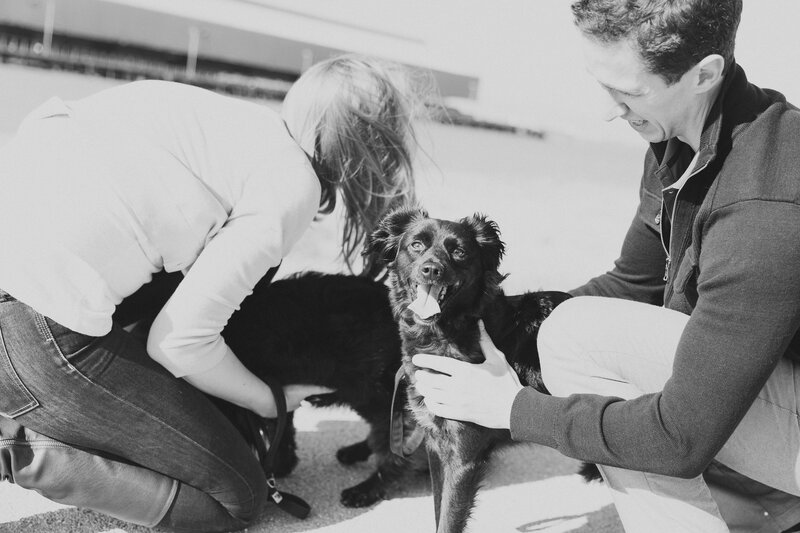 If you enjoyed this post, you should read Agility For Your Urban Pup here. 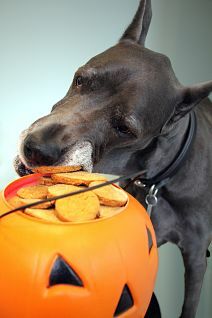 Does your pup have a favorite holiday treat? Share below or send us the recipe on the homepage! I certainly liked reading everything that is written on your blog.Keep the stories coming.